Nothing beats a warm or iced cup of coffee to kickstart a morning. But your coffee doesn’t have to end there! Today I want to share all the fantastic ways to use coffee in your beauty routine. Take your love for coffee to a whole new level, and give your beauty routine a jolt with these 7 Ways to Use Coffee Grounds in Your Beauty Routine! The components of coffee make it an excellent exfoliant, and it’s full of antioxidants which is great for your skin. Don’t just pour a cup of coffee and forget about it. Utilize it and get all the benefits your coffee has to offer. Best of all, it is so affordable to use, and it isn’t packed full of harsh chemicals. It is a natural way to treat your skin. Whether you buy ground coffee or grind the beans yourself, these beauty routines below will work just the same. Create a homemade lip scrub that will not only exfoliate your skin but taste yummy too! Mix some ground coffee with a dab of honey, and apply to your lips. Use your finger, a cloth, or even a clean toothbrush to massage over the lips gently. When you are done, rinse your lips and pat dry. It will remove any dry skin and leave your lips silky smooth. Of these ways to use coffee grounds in your beauty routine, my favorite is that you can also try this DIY coffee sugar scrub to use on your entire body that not only feels great, it smells great too! If you tend to struggle with puffy eyes, first off know you are not alone! 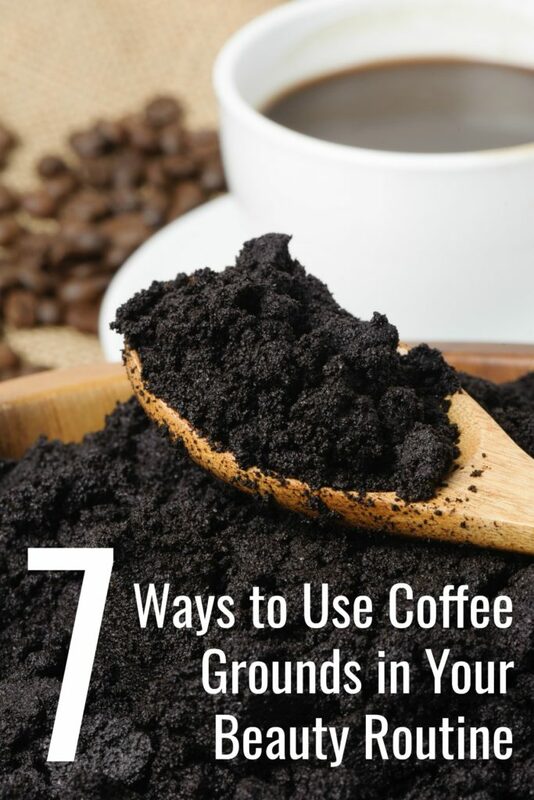 Save your coffee grounds from your morning cup of coffee and set it aside to cool. Then apply the wet grounds under your eyes and eyelids. Relax for 15-20 minutes and then rinse the grounds away with cold water. The caffeine in the grounds will help decrease the puffy effect in your eyes and leave you looking more awake. Just don’t get the grounds in your eye. Coffee is rich in antioxidants, so that is great for helping nourish your skin. Mix in some 1/3 cup coconut oil, 1/2 cup ground coffee (can be used grounds) and mix with a tub of warm water. Soak your feet for 15 minutes, and then take some coffee grounds mixed with a dab of oil and massage your feet in a circular motion. Then rinse your feet and pat dry. It will help take the pain out of your feet and exfoliate them for a smooth and soft texture. If your hair is looking dull and you want some sass back in your hair, grab your coffee. Take strongly brewed coffee that is room temperature and apply all over your brunette hair. Then apply a shower cap and let sit for 30 minutes. Wash like usual, and when it dries, you will notice it helps freshen up the color and gives you a beautiful shine and darker shade. I am sure you have heard of this one, but just in case, coffee is great for cellulite. Just take coffee grounds and massage in a circular motion on the areas where you have cellulite. The caffeine in the coffee will stimulate the blood flow and help tighten the skin, resulting in reducing your cellulite. You can do this daily or even a few times a week. Get a little red sitting in the sun. Add a cup of brewed coffee to your bath or apply wet grounds to your skin directly to help soothe your burn. Let it sit for 15 minutes and then rinse away. The antioxidants in the coffee will help ease your achy skin. If you suffer from Rosaceae then you know it can be hard to get rid of unwanted redness and irritation. The caffeine in coffee has been known to help the blood circulation which can reduce irritation and redness. Just apply the ground coffee with some honey and apply to face. Let sit for 5-10 minutes then gently wash away, and rinse in cold water and pat dry. Over time you might find this helps reduce the redness in your skin. 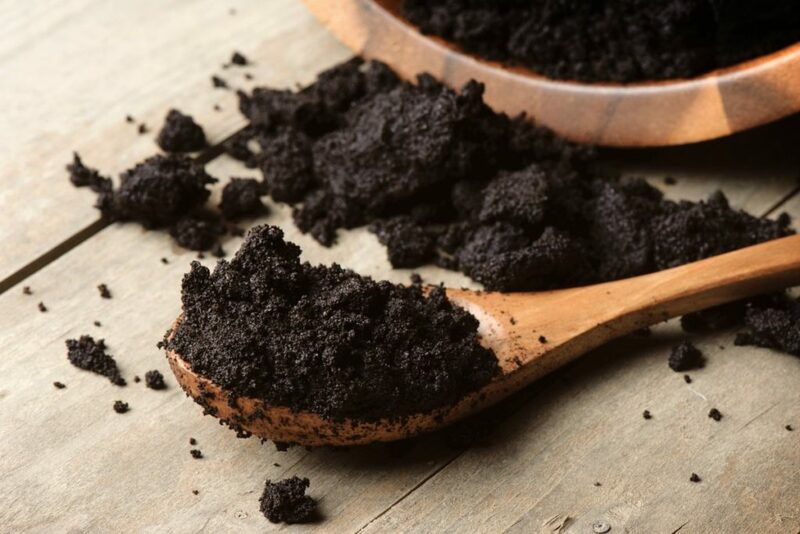 Do you have any other ways to use coffee grounds in your beauty routine?